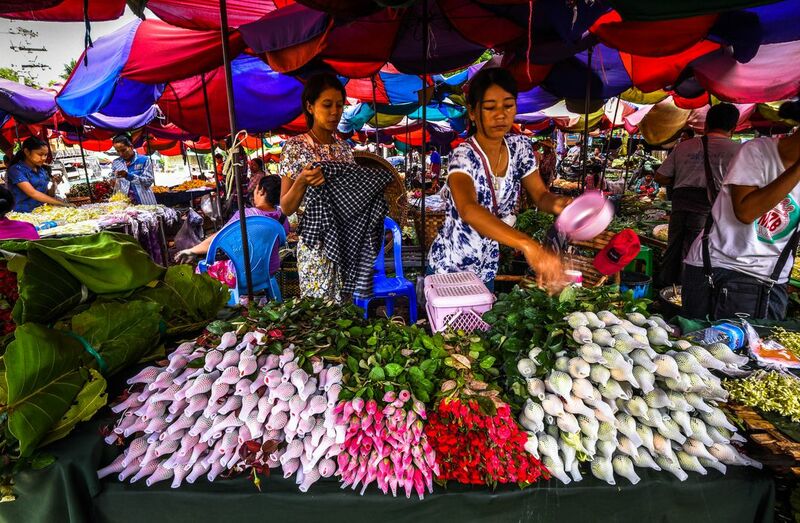 This was shot at a flower market in Mandalay. They put nets over the pedals to ensure they don't fall off and sprinkle them with water throughout the day to make sure they don't dry out. This photo perfectly shows how colorful life in Myanmar is.